We fulfill more than just your pharmaceutical needs. Take advantage of electronic refill requests. Transferring your prescriptions to our pharmacy is made easier. We have all the supplies that you need. Make your loved ones and peers feel loved in simple ways. 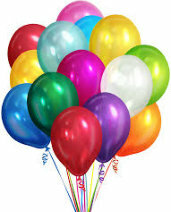 You can order balloons online for any occasion and celebration. 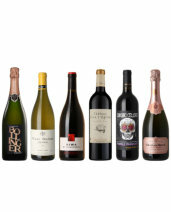 Look no further for your favorite drinks — we have them here. Take advantage of electronic refill requests which are made a lot easier and more convenient for you. Get started today! Moving pharmacies? We can help you transfer your prescriptions more conveniently and hassle-free. 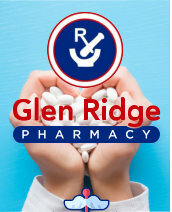 For decades, our pharmacy in Glen Ridge, NJ has been helping our community with their pharmaceutical needs and more. True to our goal to help improve your quality of life, we have been and will always continue to be your trustworthy one-stop shop for pharmaceutical solutions. 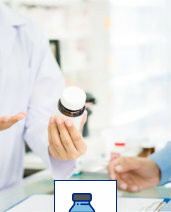 Let our pharmacist give you the advice that you need. We can bring your purchased items right at your doorstep. 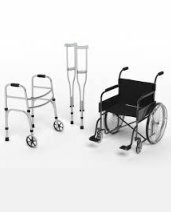 We accept a number of insurance plans and reimbursements. Let us know if you were satisfied with our services.